Well spring has arrived, which means the sweltering summer months are just around the corner. With that said, when the sticky, humid summer climate makes it presence known, air conditioners across the map go into full working mode. Your HVAC system runs constantly during the summer months and contributes to the overall comfort of your home and family. However, it is important to take steps necessary to enhance the lifespan of your Hendersonville HVAC system. During the summer months an HVAC system runs continuously and, as a result undergoes a good deal of wear. A typical HVAC system has a lifespan of about 15 years when routine maintenance is performed regularly. If, however, you fail to perform annual routine maintenance, the efficiency and effectiveness of your system will be reduced by almost 5% per year. Surely, your HVAC system is one of the biggest home investments you will make, which is why you want to take every precaution to preserve its efficiency and effective functionality while protecting its lifespan as well. Performing routine maintenance is an absolute must do for every homeowner who has invested in an HVAC system. 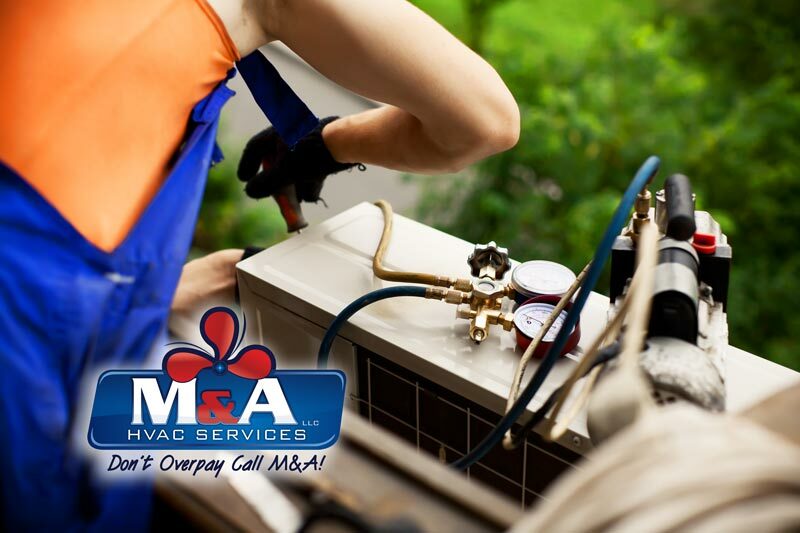 In addition, to performing typical routine maintenance, the team here at M&A HVAC Services, LLC have some important tips to offer on how to extend the lifespan of your Hendersonville HVAC system. Begin by scheduling preventative maintenance and an annual inspection and tune-up which will also contribute to a reduction in your yearly operating and utility costs. A pre-season check of your AC system should be performed in advance of the summer season. All hoses should be inspected for leaks and your condensate be inspected for proper draining. Installing attic fans will help keep the atmosphere in your living space cool and comfortable and if need be, added insulation can contribute to a more comfortable environment as well. In addition, added insulation will help keep cooling temperatures confined within your living space and minimize how long and how hard your HVAC system will need to work. Replacing the AC system filters not only eliminates dust, allergen and pollutant build up, but also contributes to the life expectancy of your HVAC system. The air vents and system registers located in your living space should be vacuumed and free of any blockages. The outside compressor should be cleaned and cleared of any materials that can cause a blockage such as grass, bushes, and other outdoor debris. Investing in a programmable thermostat is another option for extending the lifespan of your system. A programmable thermostat allows you to set varied temperatures at various times of the day, which alleviates having to run the AC consistently, even when you are not at home. Nobody wants to get caught in the middle of the scorching summer months without a fully functioning HVAC system which is why routine maintenance and taking every precaution to enhance the lifespan of your Hendersonville HVAC system is a must do for every homeowner. Spring is finally here so why not take time out now to schedule your routine maintenance, inspection and tune-up to ensure your cooling system is prepared to handle all the summer challenges ahead. 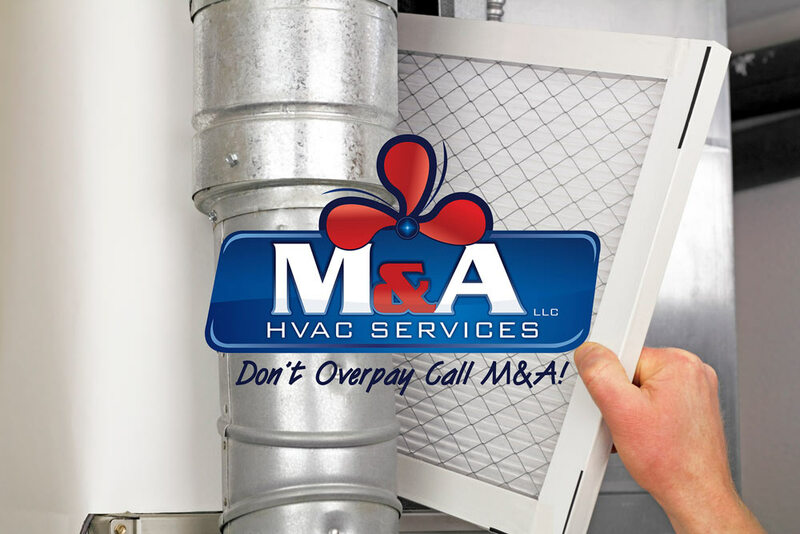 Contact our team here at M&A HVAC Services to schedule your appointment today. We look forward to serving you and to providing you with the best all round products and services you need for your Hendersonville HVAC system. Don’t delay. Before you know it, summer and its sweltering temperatures will be here, so reach out to our pros today! !